After a few weeks of messing around with it, the thing that strikes me the most about the reality of what Huawei are pitching with the new Huawei Matebook X Pro isn’t all that different from what they’re pitching with their smartphone products like the P20 and Mate 20 Pro. Or at least, the underlying methodology of what they’re selling with those products. Broadly speaking, the laptop market caters to users of all shapes, sizes, wants and needs. However, the road that brought us to this place is one of unintentional consequences. Almost every major laptop manufacturer in the world is trying to engineer the next mass-market laptop. The next Sony Vaio. The next Macbook Pro. The next Surface. The next Dell XPS. The next winning combination of specs, design and price that cracks open the wallets of customers who currently don’t see an option on the market that’s just right for them. Everything else is just progress. And, if you’re tackling it on those terms, the Huawei Matebook X Pro holds its own quite nicely. It doesn’t crush the competition. Still, it’s a compelling start and a strong alternative to many of the other options out there. What are the specs of the Huawei Matebook X Pro? What’s good about the Huawei Matebook X Pro? As a product, the Huawei Matebook X Pro has no shortage of premium flourish. It’s made of sleek, smooth materials and is a delight to hold and handle. It feels like it can take a hit but at 1.32 kg in weight, it’s far from bulky. It’s as lightweight as you could expect a laptop like this to feel, keeping the Intel Core i7-8550U processor and 57.4WHr battery in mind. And, its quirky concealed camera aside, the Huawei Matebook X Pro is a product that lives and dies on that polish. It’s a simple, familiar formula for what a laptop should be - written in a lavish font that preys on the areas where other, lesser laptops fall short. Hate that most modern laptops have ditched traditional USB ports in favor for USB Type-C? The Matebook X Pro has both. It learns from the mistakes of the competition and, keeping the price in mind, the underlying arithmetic of the final results is easy to work through in your mind. The Matebook X Pro does everything it can to make itself immediately appealing. The speakers sound good, the display is crisply detailed (if a little dim) and the keyboard is sized just right. To work on, Huawei’s Matebook is a delight and never really misses a beat. Applications, web-browsing and word processing all shake out as super-snappy and the thin-bezel display and Dolby Atmos speaker keep things looking (and sounding) modern. At times, the Huawei Matebook X Pro feels like a love-letter to the clamshell coveters like myself. 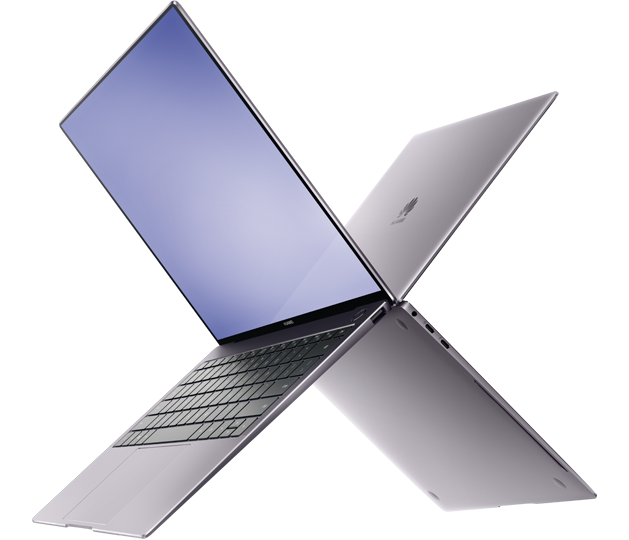 If you feel the same way that I do about old-school laptops or on the outs with the Surfaces and convertibles of the world, the Huawei Matebook X Pro will feel like a homecoming. What’s not so good about the Huawei Matebook X Pro? The first thing that’s not so good about the Huawei Matebook X Pro is the hidden camera. Yes, it’s a neat novelty. However, in both essence and in execution, it’s still a compromise. If you actually plan on using the camera, it’s pretty unflattering in its positioning and with a 1-megapixel sensor, the image quality isn’t all that great or detailed either. Honestly, I’d almost rather a version off this product that outright excludes the webcam outright and keeps the clean, hyper-thin bezels. Regardless, your mileage may vary. Circling back to the display, there is a lot to like about the Matebook X Pro’s screen but a few caveats to be found. The thin bezels and “3K” resolution look great in action but are let down somewhat by the brightness of the display panel. Even indoor lighting environments, glare proved a consistent issue during my time with the Huawei Matebook X Pro. Next up, while I am generally happy with the array of the ports on the Matebook X Pro, I did - as I always do - bemoan the lack of an SD slot. This is a broader trend in laptop design, so I don’t want to hold it against the Matebook X Pro too strongly but if we’re talking about the things that’d stop me - personally - from embracing this product - the lack of an SD card slot is definitely one of them. How does the Huawei Matebook X Pro compare to the other options? When it came to benchmarks, the Matebook X Pro was largely elevated by the 8th Gen Intel hardware inside the thing. It delivered solid results across both Geekbench’s CPU and Compute tests. However, when it came to the former, there wasn’t a massive difference between it and the competition and when it came to the latter, the 8GB of RAM here proved a real ceiling to what we could get out of the Matebook X Pro. At the end of the day, there’s not a lot of surprises to be found here - and that works both for and against the Huawei Matebook X Pro. It kinda depends what you’re after. In terms of battery life, the Huawei Matebook X Pro delivered pretty modest results. 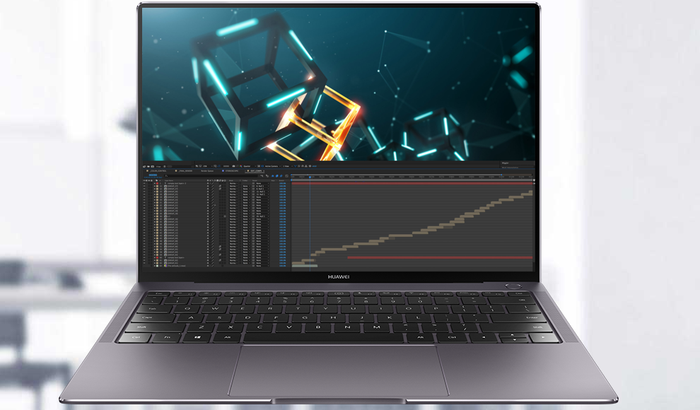 When subjected to the Battery Eater testing tool, which gauges the absolute minimum battery life of a given notebook PC, the Huawei Matebook X Pro took 2 hours and 45 minutes to run down from one-hundred to zero. This is pretty close to what we get from most other laptops of this class. Though obviously, your mileage is going to vary here with regards to what you want and need from the Matebook X Pro - but we came away impressed, or least satisfied. The Bottom Line: Should You Buy The Huawei Matebook X Pro? If you’re looking for that simple to use, no fuss laptop that’ll get everyday tasks done - the Matebook X Pro is that ideal polished to near perfection. If you’re after the portable powerhouse that does it all - this aint it. 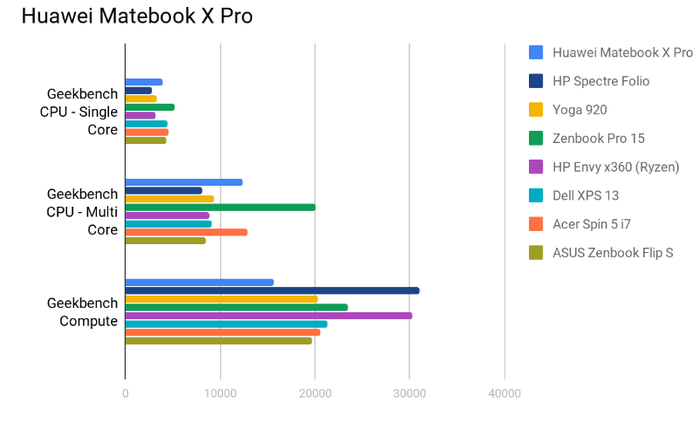 It’s telling that the areas where the Matebook X Pro falls short are those it experiments with. Because when it comes to everything else, Huawei have pretty much mastered the formula for what makes a good laptop. It doesn't surpass the current gold standard for laptops but doesn't mean it isn't a good option.